The opinions expressed by Subliminal Hacking (Dale Pearson) and those providing comments are theirs alone, and do not reflect the opinions of colleagues, associates, clients or that of the current employer. 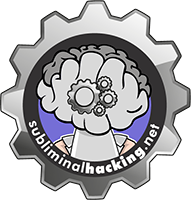 Subliminal Hacking reserves the right to change information published on the site, and is not responsible for the accuracy of any information supplied or information found via external links. The graphical images, photography and files located on this site contain a mixture content owned by Subliminal Hacking and others. Some content and links may display revenue generating ads or affiliate links. Subliminal Hacking exists to create awareness, spark debate and challenge peoples understandings and beliefs. Information, theories and examples are provided for educational and awareness purposes, Subliminal Hacking (Dale Pearson) will not be held responsible for any actions or resulting consequences as a result of the information documented on this site.